But unlike the Barrie region, we didn't have to contend with a tornado. 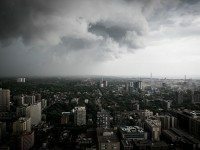 How Prepared is Toronto for Future Rainy Days? 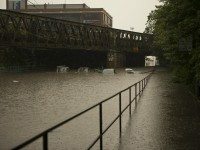 Monday's flooding was some of the worst in recent memory. Can Toronto handle the next big storm? 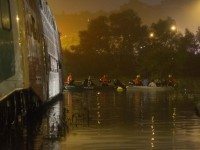 About 1,400 passengers were removed, a handful at a time, from a stranded GO train stuck in the Don Valley last night. 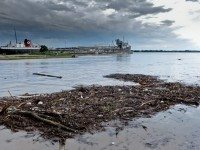 A series of severe storms crossed the province Sunday afternoon, the most extreme of which was a tornado that heavily damaged the town of Goderich, Ontario.